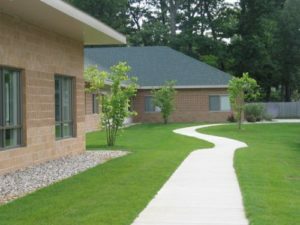 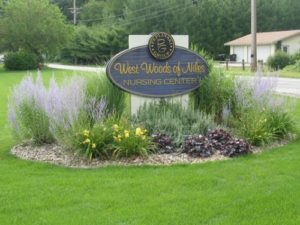 West Woods of Niles is a short term rehabilitation and long term care facility. 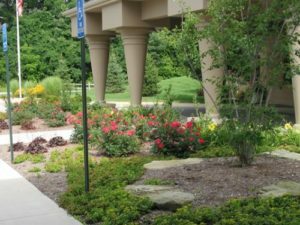 When the facility went through a major renovation, the owners decided to add areas where residents could relax outdoors. 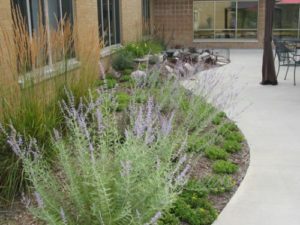 Many studies have shown that nature has a positive impact on health and healing. The property has multiple patios and a secure courtyard with colorful plantings for outdoor relaxation. 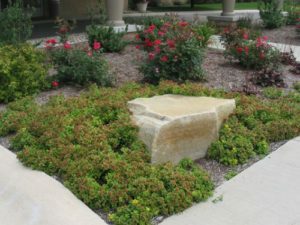 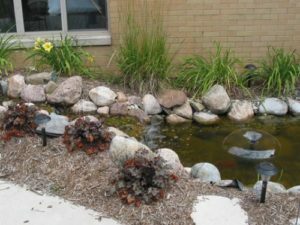 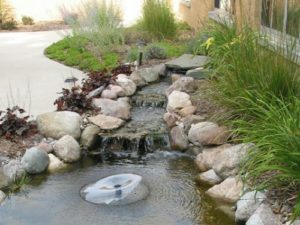 A water feature and bench were placed in a peaceful spot for quiet time. 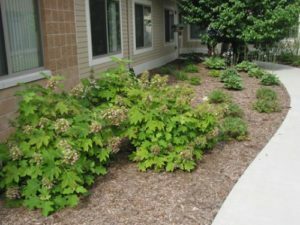 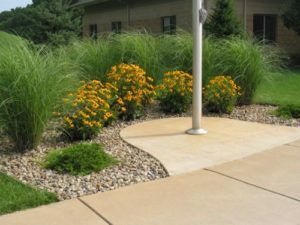 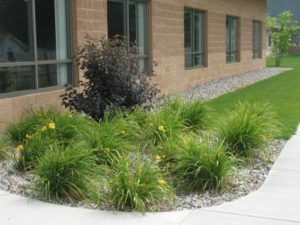 Grasses, perennials and flowering shrubs flank the sign and front walk to create an inviting welcome.